Imports of Baby Kiwi, or Kiwiberry, from the Southern Hemisphere into the US are about to commence for the year. Coosemans LA Shipping are bringing in the fruit from New Zealand and also possibly Chile. These will be available from the middle of February for about six to eight weeks. 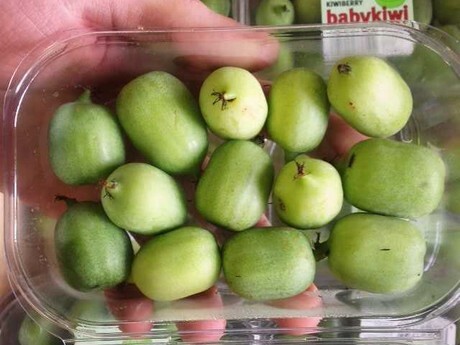 "New Zealand Baby Kiwi will be available from February 15," shared Cole Firman of Coosemans. "Right now we are seeing if Chile will have a program. In previous years, we have observed that Chile generally starts a week before New Zealand. However, buyers typically prefer the New Zealand Baby Kiwis because they are a cleaner looking variety and also ship better." "The season lasts from mid-February through to late March," Firman added. "However, last year it went slightly longer, finishing up in April." Although sharing a name, Baby Kiwis have a few differences compared to regular kiwifruit. Firman pointed out the main difference is that Baby Kiwi are similar to Golden Kiwis in that they can be eaten whole, including the skin. "Baby Kiwis are their own variety and also grow differently. Regular kiwifruit have fur on the skin while Baby Kiwis can be completely eaten including the skin. Baby Kiwis are sweet, with some people also experiencing a tangy note. They often eat better when they are a little softer." Firman also mentioned that Baby Kiwi are a popular option for schools because of their size and ease of preparation. "They generally do well for school programs," he explained. "They are a hassle-free and easy, convenient offering for children, as well as being an ideal serving size." The Baby Kiwis that Coosemans are shipping are already packed in their countries of origin. Therefore, the pack sizes will vary from the typical ones presented for domestic supply. "The fruit will be available in 12 x 4.4oz packs because they pack them over in New Zealand and then ship them over to the US," Firman said. "I have seen in previous years packs of 12 x 6oz but these have generally been only on the domestic deals. 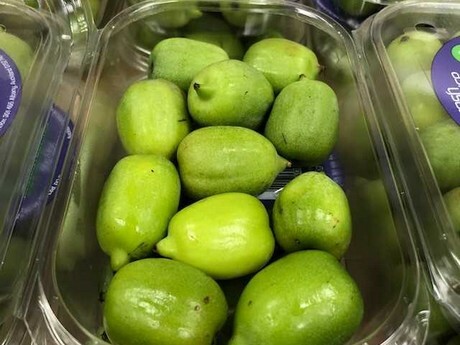 Baby Kiwis are not the only fruit we are receiving from New Zealand in February, with the shipping of green gage plums also beginning next month."